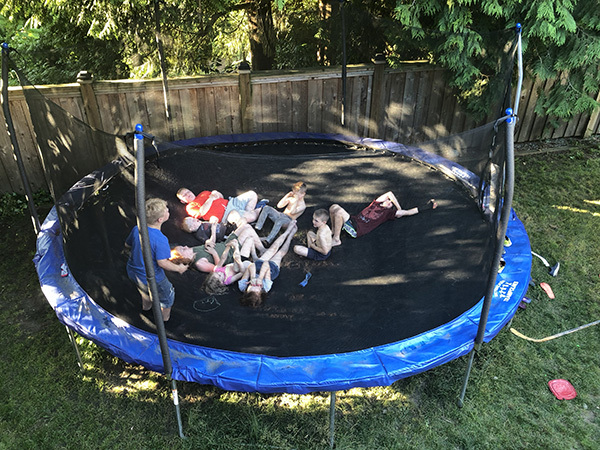 Summer time is here and the kids are looking for fin things to do on a trampoline! If your kids are anything like mine, they are “bored” and asking for things to do. It does not matter if I tell them to go get on their new bikes, or play tag or hide and seek. They seem disinterested. BUT thanks to to having the best trampoline on the block, I kick them outside with these ideas. 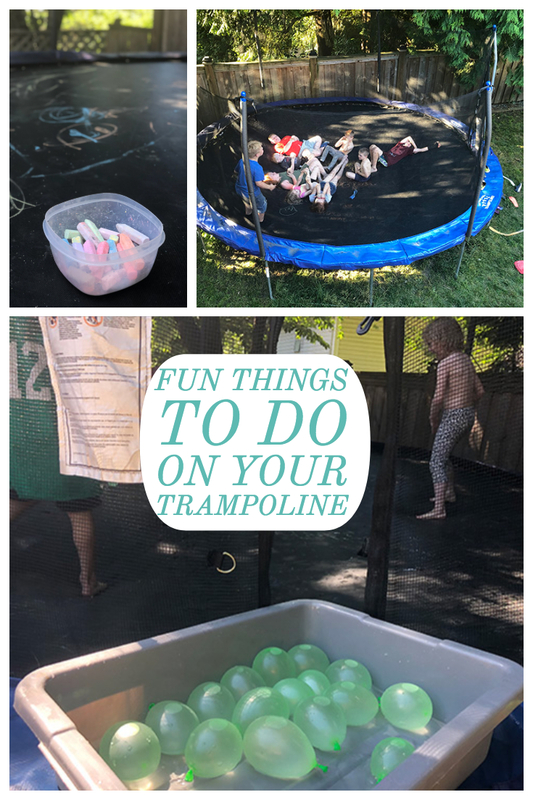 Fun Things to do on a Trampoline to keep your kids busy this summer! 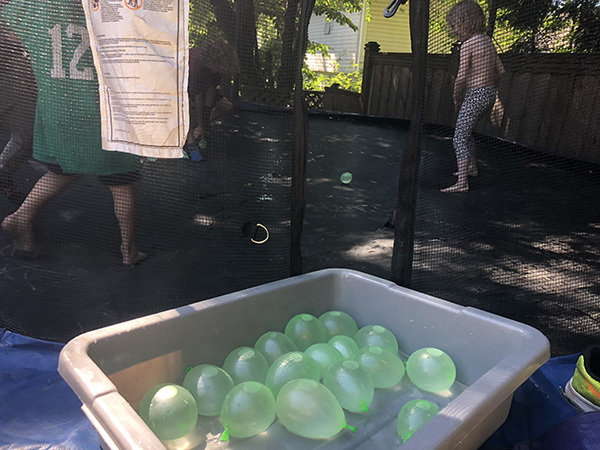 Water Balloons are a great way to cool off and keep busy! 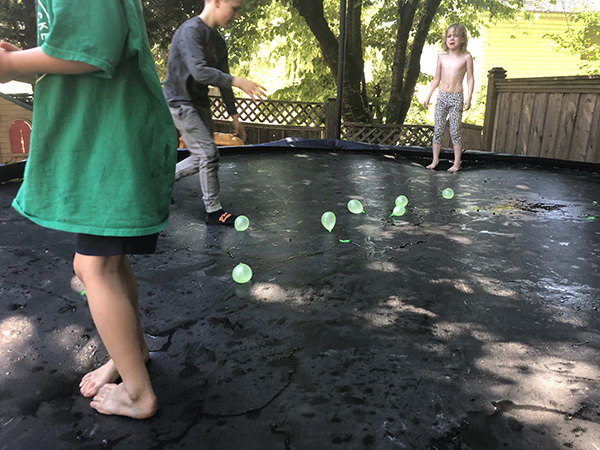 A quick and easy way to cool off the kids and have some fun is to put a sprinkler under the trampoline! Grab some of these balls and make a ball pit! Best for younger kids, as it makes it hard to actually bounce! If you have a small toddler trampoline, these balls work great! 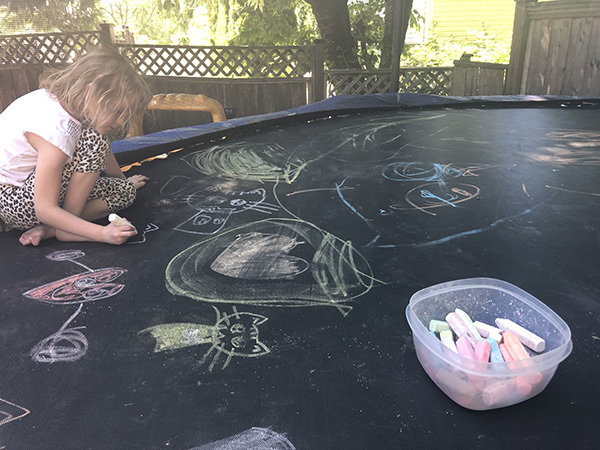 Did you know you can use chalk on your trampoline? Grab a few colors and let the kids get creative. Use the hose or wait for the rain and it will be clean again! If you have a gymnast in the family, a boucey surface is a fun way to practice gymnastic moves from cartwheels to tumbles. If you also want to practice inside, consider a gymnastics mat! Have a camp out. Kids always love pretending to camp! Give them a snack and sleeping bags and pillows and they will get creative and entertain themselves! You can also grab a trampoline tent online! Check out the top 3 trampoline tents. Another great summer activity is water balloons! 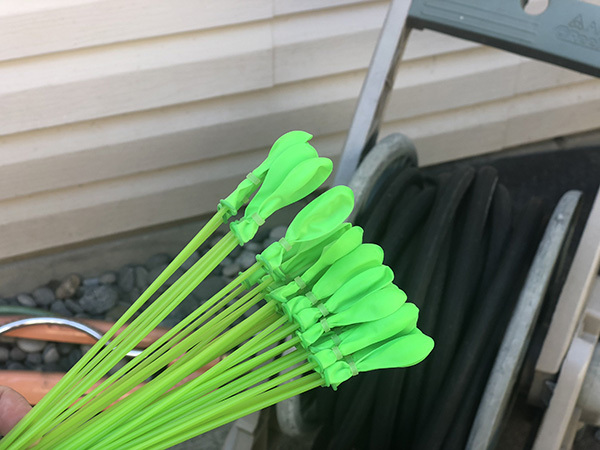 We buy these onesand it is sooooo much easier for me to get a ton of balloons for them! Use a large inflatable beach balland everyone lays down either their heads together in the center. Using arms and legs try and keep the ball in the air! If you are looking for a new trampoline, reach my Guide to the Best Trampoline with enclosure. 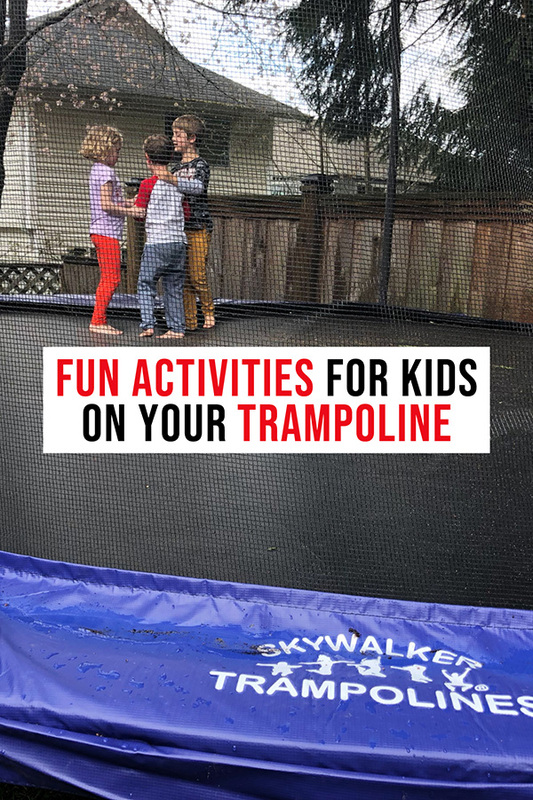 If you have not bought your first trampoline yet, check out this guide to Mistakes to Avoid when buying a Trampoline.